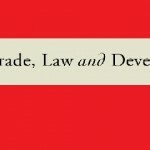 The African International Economic Law Network (AfIELN) invites the submission of abstracts for the 4th Biennial Conference taking place at Strathmore University, Nairobi, Kenya from 18 to 20 July 2019…. 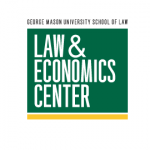 The Law & Economics Center at George Mason University Antonin Scalia Law School will host its Thirty-Fourth Economics Institute for Law Professor on June 16-28, 2019 in Estes Park, CO. Applications are submitted online.